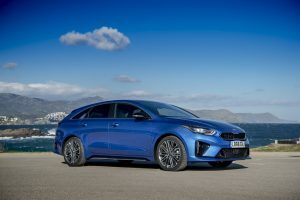 The new third generation KIA CEED hatchback is a very good car and the CEED sports wagon (estate variant) is even better as a family machine. The old three-door ProCeed has been given the chop and is replaced by a new car that looks radically different. So what is all the fuss about? 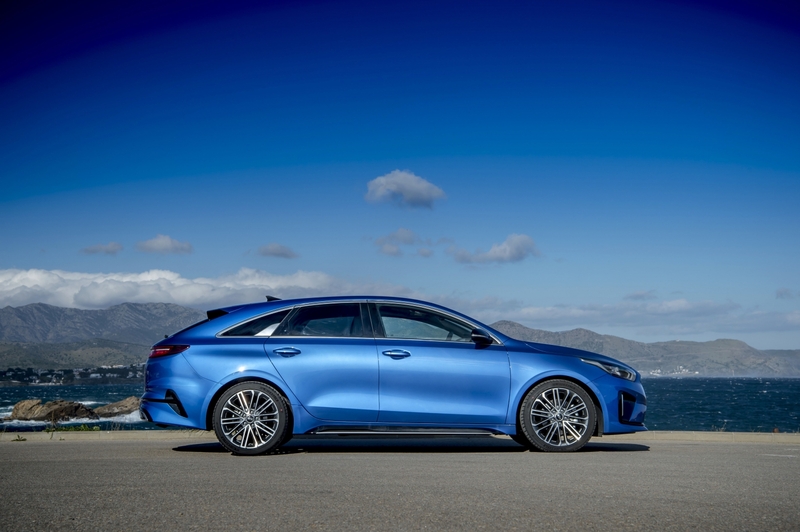 The new ProCeed has a body form that is best described as a shooting break. This style is usually associated with niche premium machines that need some added practicality. A break adds a bigger boot on to a less than practical car and offers more space without looking like a simple load-lugging estate. 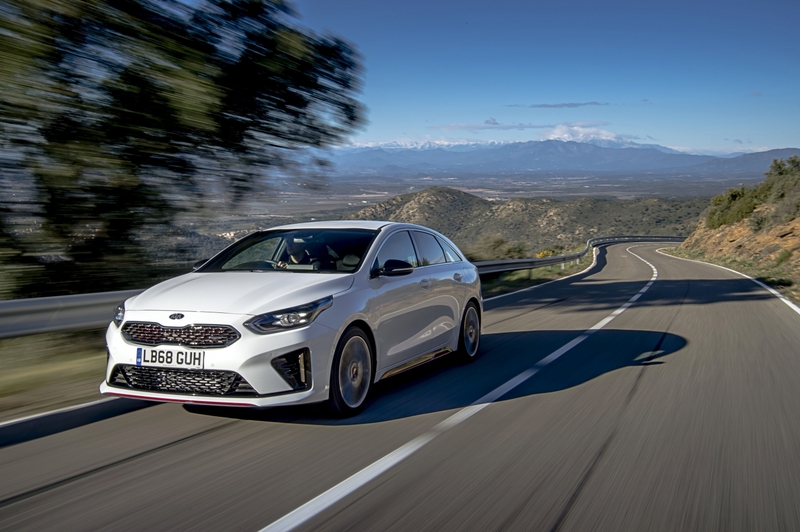 ProCeed’s body form sits 10mm lower than the CEED SW estate and it is slightly longer too. The ProCeed is clearly design and style focused and projects a more considered purchase. 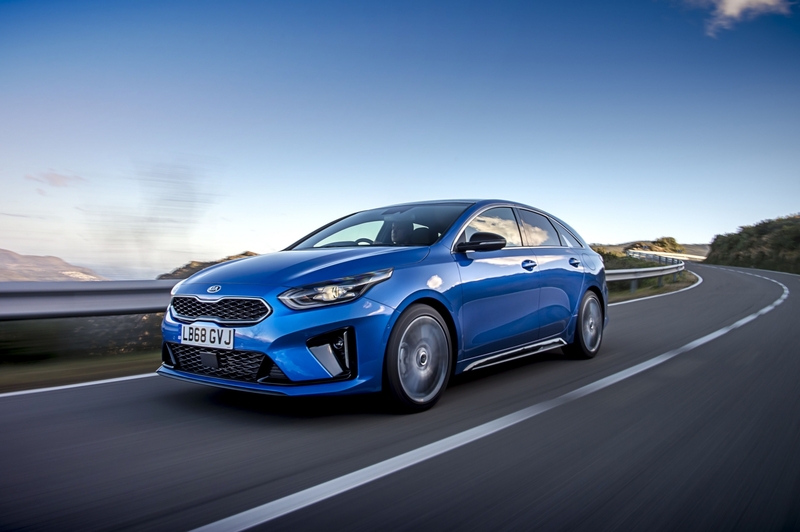 Most shooting breaks are well specified and the ProCeed features more power and equipment that allows it command a premium over the hatch. 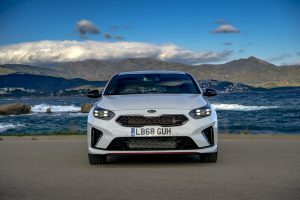 KIA’s design team is headed up by some of Europe’s finest and I’ve chatted extensively with them to understand their design thinking. 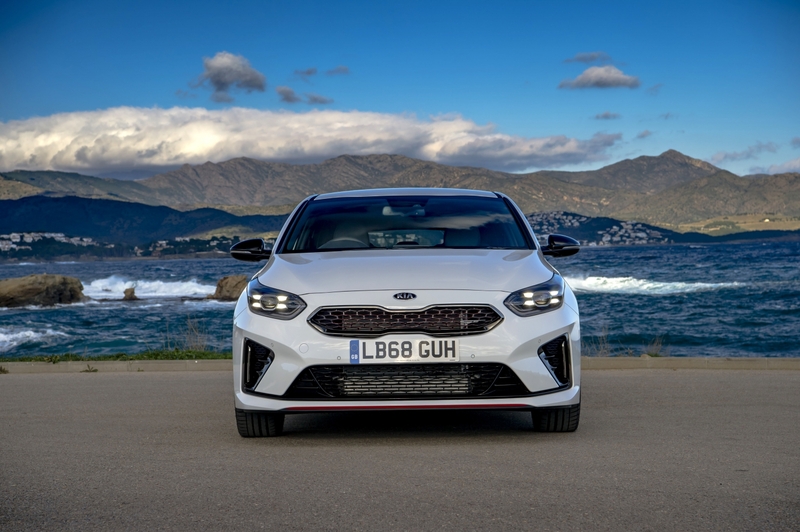 KIA is the junior brand in the Hyundai/KIA motor group and generally its cars are styled with fewer lines. KIA’s are a bit more simple and architectural compared to Hyundai’s curvier machines. The ProCeed was designed for the European market and certainly cuts a dash with street presence beyond its humble C segment underpinnings. I must admit to being a fan of estates in general, as are most motoring journalists. I love the CEED SW and its practicality but for some buyers practical machines don’t offer enough style and this is where ProCeed steps in. 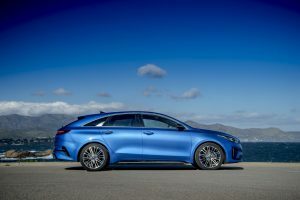 Inside the ProCeed’s cabin it is pure CEED and is a comfortable step up from the last generation C’eed and the new ProCeed delivers more as standard to help justify the price walk. The seats and driving position are good and the cabin is airy. The 594 litre boot is shallow but very versatile. There are clever and practical underfloor compartments and the boot can easily hold the weekly ‘big shop’. The sloping tailgate and low roof line would make you think headroom is compromised – but it is more an optical illusion. The standard GT Line grade (for Ireland) delivers a lot of kit as standard such as an 8.0 inch touchscreen infotainment system, Apple CarPlay, Bluetooth and safety features including High Beam Assist, Driver Attention Warning, Lane Keeping Assist with Forward Collision-Avoidance Assist and pedestrian recognition. The interior works well and in a week of over 1,000 kilometers of testing the only thing I craved was climate control. My test car’s rotary dial heat setting that made it hard to maintain a consistent cabin temperature. 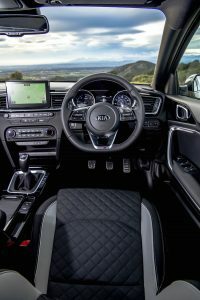 Could KIA have gone further to make the cabin luxurious? Yes, but then the car would have stepped outside its segment. Irish buyers do not like a car that has ‘notions’ (of grandeur). On the road the 1.4 litre T-GDi petrol engine delivers sufficient performance with enough in reserve to allow for brisk overtaking. It can pull reasonably well too for a petrol engine thanks to 242nm. The car’s dynamic handling was surprisingly good thanks to revised suspension and I frequently took the twisty route home. 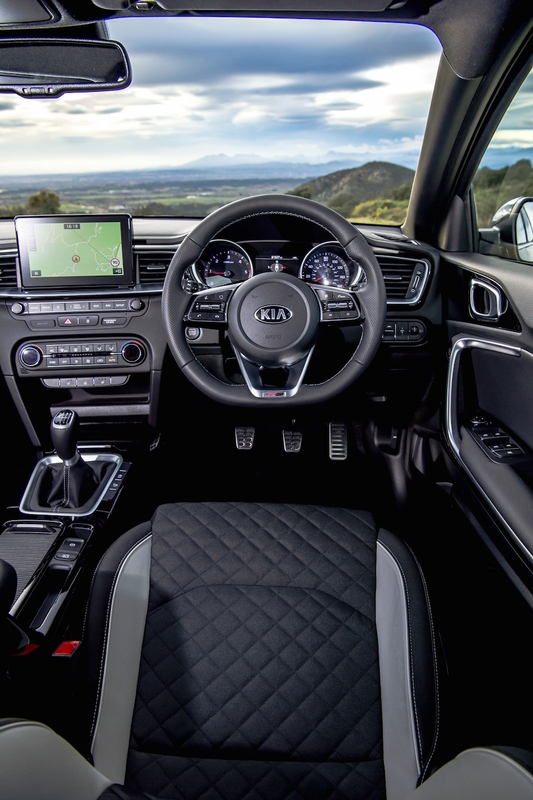 The cabin is quiet and overall the driving experience is neutral and unremarkable – in a good way. The handsome ProCeed comes in one GT Line trim (17 inch alloys) and in a limited choice of three colours. It costs €28,945. 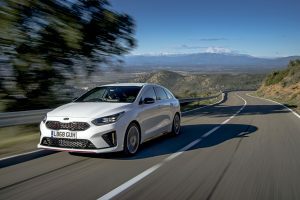 KIA’s standard 7-year, 150,000km warranty adds to the tempting package. 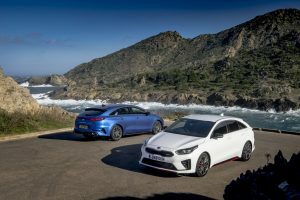 The Slovakian built KIA ProCeed is a good looking car that delivers big on style and practicality.